DOHA, Qatar, 2018-Mar-21 — /Travel PR News/ — Qatar Airways is pleased to announce the launch of Oryx Kids Club, an exciting new flying club for the airline’s youngest passengers, designed to put even more fun into flying for children. 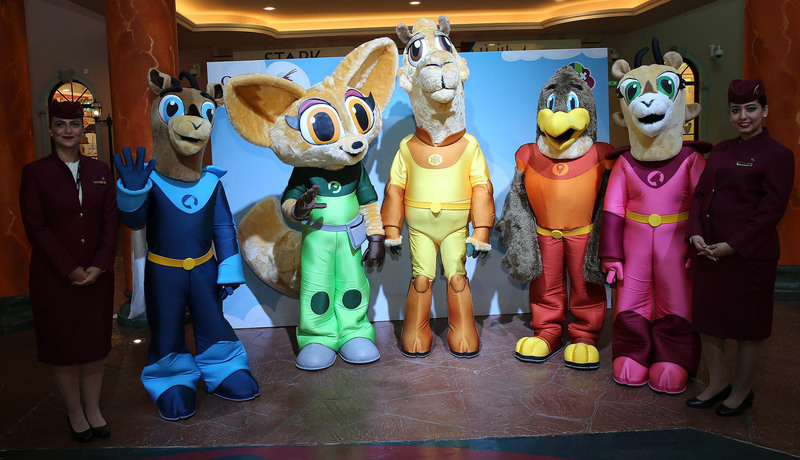 The fun-filled launch took place at a press conference at KidzMondo Doha, hosted by Qatar Airways Chief Commercial Officer, Mr. Ehab Amin, and Qatar Airways Senior Vice President Marketing and Corporate Communications, Ms. Salam Al Shawa, with a special appearance by the Oryx Kids Club hero mascots, ‘Orry’ and ‘Orah’ the Oryx and their three furry friends – Kamil the camel, Faaiz the falcon and Farah the desert fox. Qatar Airways Senior Vice President Marketing and Communications, Ms. Salam Al Shawa, said: “Flying with Qatar Airways should always be a fun and easy experience for families, and so we are excited to be able to launch our new Oryx Kids Club, making every flight with Qatar Airways even more enjoyable and relaxing for both parents and children. This entry was posted in Airlines, Airports, Entertainment, Flights, Travel, Travel & Kids, Travel Management, Travel Marketing, Travel Services, Travelers and tagged Mr. Ehab Amin, Mr. Nabil Barakat, Ms. Salam Al Shawa, Oryx Kids Club, Oryx Kids Loyalty Programme, Qatar Airways. Bookmark the permalink.